It is entirely appropriate that the short “Crisis in American Democracy” commentary below by Dr. Albert Mohler has come out today on the National Day of Prayer. Please go to this prayer guide today and every day. To read the entire column. Becky Gerritson, President of the Wetumpka Tea Party, has put together six short videos explaining each amendment that will be on the November 4th ballot. Click below for her great explanations. Those questionnaires that were completed and returned are now available for review on our website under the Resources tab. We hope these responses will be beneficial in helping you make informed choices in the upcoming primary elections on June 3rd. See Sample Ballots by County. 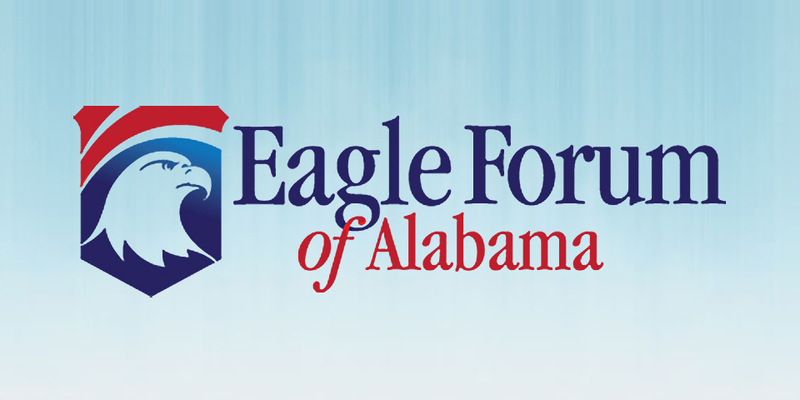 Although Eagle Forum of Alabama does not endorse candidates, we have put together a list of resources where you can go to find out about all of the presidential candidates and their records. We encourage everyone to read up on the candidates, what they say now and what they have done in the past. A well-informed electorate is the foundation of our republic. Club For Growth–The CFG Presidential White Papers explore each candidate’s stance on pro-growth economic issues and their history of supporting pro-growth economic policies. Cato Institute–The Cato Institute has put together a guide to the presidential candidates’ proposals on spending. FRCAction–The Family Research Council’s action arm has put together a chart showing where the candidates stand on a variety of issues. Post Libertarian–Slightly different in that this is a blog that contains the author’s take on all the candidates, but there are some good insights and relevant information you might not get on the sites above. Washington Post–The WaPo has a 2012 Election Center that compiles the latest news, biographies on each of the candidates, and tools for evaluating the candidates. 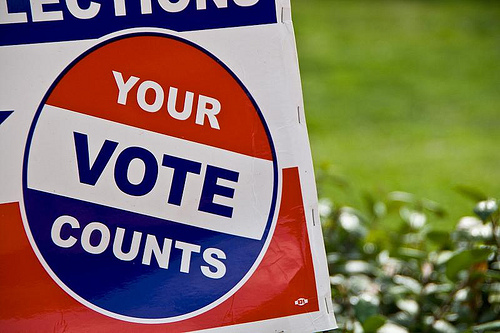 Check out Phyllis’ latest column explaining why national popular vote is a bad idea. Moving quietly under cover of presidential debates and the enormous publicity given to the race for the Republican nomination is a plan to change how U.S. Presidents are elected. It would bypass the procedure spelled out in the U.S. Constitution which has been used successfully for over two centuries. The Constitution prescribes how we elect our Presidents. It is a mirror image of the Great Compromise designed by the Constitutional Convention of 1787, which brought together the large and small states by means of a national Congress, with the House based on population and the Senate based on state sovereignty. Likewise, when the presidential electors meet in gatherings known as the Electoral College, each state’s vote is equal to the sum of its House and Senate representation in Congress. Our Founding Fathers understood that America is a nation of both “we the people” and a federal system of states, so it allows all states, regardless of size, to be players in electing our President. NPV is an attempt to achieve the longtime liberal goal of getting rid of the Electoral College. Instead of proposing an amendment that would first need to be passed by Congress and then ratified by three-fourths of the states (38), NPV is a scheme to deviously bypass the grand design of our U.S. Constitution. The NPV campaign lets people believe that NPV will elect Presidents who win the majority of popular votes, but that is false. Because of third parties, we’ve had many elections (including three of the last five) when no presidential candidate received a popular-vote majority. Abraham Lincoln won with less than 40% of the popular vote and only our Electoral College system elected him President. If the NPV lobbyists can get enough states whose votes in the Electoral College total at least 270, they will be able to steal votes away from some candidates, transfer those votes to another candidate, and thereby construct a fake majority in the Electoral College. Eight states and the District of Columbia (with 132 electoral votes; half of the 270 needed) have already joined this NPV “compact” to “activate” NPV: Vermont 3, Maryland 10, Washington 12, Illinois 20, New Jersey 14, District of Columbia 3, Massachusetts 11, California 55, and Hawaii 4. The NPV slogan “Every Vote Equal” is dishonest because the NPV proposal is based on legalizing vote-stealing. For example, Texas or Louisiana could be forced to cast its votes for a candidate who won more votes in other states, such as New York. If NPV had been in effect in the year 2000, Al Gore would have become President instead of George W. Bush because Gore received more votes than Bush. It’s a mystery how any Republican could support NPV, and it’s no surprise that the Republican National Committee voted unanimously to oppose NPV because members saw it as unconstitutional and unworkable. Remember our national trauma as we suffered through recounts in Florida where the margin between Bush and Gore was only about 500 votes? If the election is based on the national popular vote and it’s close, NPV would induce recounts in many or most of the 50 states. Mexico uses a national popular vote system, and it’s a good illustration of why we don’t want it here. In Mexico’s last presidential election, the candidate with the “most votes” received 35.89 percent while his closest rival got 35.31 percent, a margin of just one-half of one percent. In the months that followed, Mexico was on the verge of civil war as the runner-up held mass rallies attracting millions of his angry supporters. People who pretend that the Electoral College system is undemocratic are not only ignorant of the history and purposes of the U.S. Constitution, but they probably don’t even understand baseball. Basing the election on a plurality of the popular vote while ignoring the states would be like the New York Yankees claiming they won the 1960 World Series because they outscored the Pirates in runs 55-27 and in hits 91-60. Yet, the Pirates fairly won that World Series, 4 games to 3, and no one challenges their victory. Excellent piece from the Wall Street Journal about the recall elections in Wisconsin. Conservative Governor Scott Walker and Republican legislators were under harsh attack from unions and left-wing organizations across the country and still managed to win with the voters of Wisconsin. They called it Armageddon. They promised political revenge, and they said it would be the beginning of the end of the GOP ascendancy of 2010. Unions across the country threw everything they had to defeat Wisconsin state senators who voted for collective bargaining reforms for government workers, and on Tuesday the unions lost. Maybe we’re not Greece yet. In the six months since Governor Scott Walker introduced his reforms, Big Labor and Democrats have tried to make the Badger State a national demonstration that some political lines can’t be crossed. Union power, once granted, is sacrosanct. Even President Obama denounced Mr. Walker. The legislative brawl consumed Madison in European-style protests and turned a judicial election into a national spectacle before the law was upheld by the state supreme court. On Tuesday, voters delivered another verdict, favoring Republicans in four of six state senate recall elections and keeping the GOP in the majority. The two losses came in races where the GOP incumbent was troubled for other reasons. Dan Kapanke lost in Democratic-leaning La Crosse, while Randy Hopper lost after he left his wife to take up with a barely-legal Republican aide. The unions can’t say they didn’t go all-in. Spending in the recalls totalled around $28 million, only a few million less than total spending in the state’s 2010 gubernatorial election, and Democrats are widely estimated to have outspent Republicans two to one. For the bucketloads of cash, the political impact is negligible. Two Democrats face recalls next week and if they were to lose, the net senate recall effect would be zero. SB34–Amends the Alabama Code to provide child includes children in utero. A positive drug test at time of birth shall create the presumption of exposure in utero. SB202–Federal Abortion Opt Out Act prohibits insurance plans that cover abortion from participating in the state insurance exchange mandated by the Obamacare legislation. HB425–Moving state presidential preference primary to first Tuesday in March along with the general primary in presidential years. HB324–moving property tax reappraisal on Class II and Class III property to every four years. HB365–Informing consumers of duty to pay state and local sales tax on goods purchased over the internet. Lots of activity on the House and Senate floor as well. The General Fund budget is scheduled to pass this week probably Thursday. I hear the House may take up Rep. Hammon’s immigration legislation (HB56). It’s the eighth bill on the House Regular Calendar, so there’s a good chance they will take it up. SB84–Limiting liability for property owners who lease for purposes of hunting or fishing. 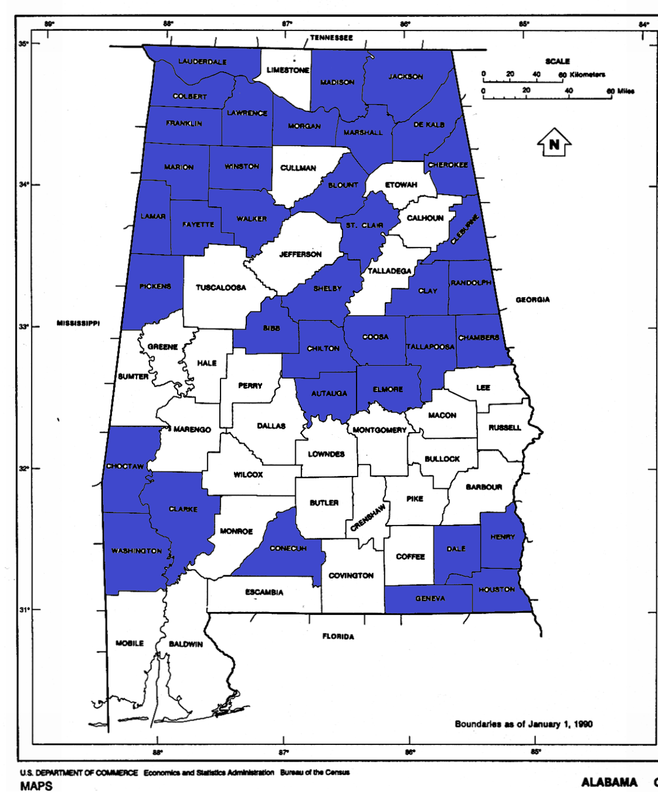 SB127–Limiting terms in the Alabama House and/or Senate to 3 terms. SB152–Grants small businesses (less than 10 employees) that locate or expand in Alabama a 5-year property tax exemption. The 2010 election is the most important election of our time. We must stop Barack Obama from (as he said) “fundamentally transforming” America by spending us into bankruptcy. The only way to call a halt and Take Back America is to elect a new Congress in November. In Alabama, you have the opportunity to vote for conservatives at the state, local and federal level. That is why I’m writing to you. 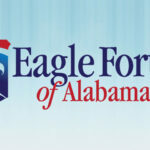 I want to draw your attention to the candidates who have sought and received Eagle Forum PAC’s endorsement. We endorse candidates on the basis of extensive personal interviews, legislative records and answers to our rigorous 75-question survey which covers taxes and government spending, national security foreign policy and American sovereignty, border security and immigration, life, marriage, family, the Constitution and privacy. 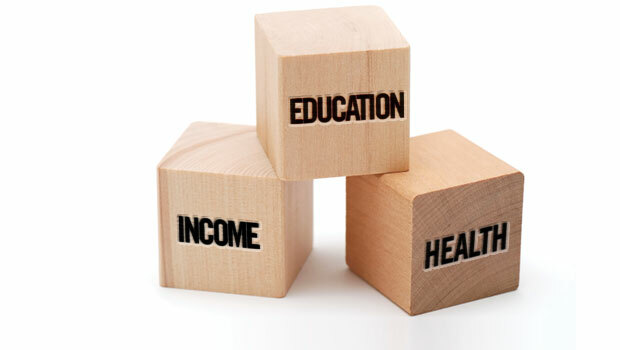 of President Obama’s main education goals. The Alabama State Board of Education is comprised of 8 members elected from single-member districts. Betty Peters represents District 2, the Counties of Barbour, Chambers, Clay, Coffee, Covington, Dale, Geneva, Henry, Houston, Lee, Randolph, Russell, Tallapoosa and a portion of Talladega. If you live in one of those counties, please be sure to vote for Betty Peters for Alabama State Board of Education, District 2. If you live in the 2nd Congressional district, you have the opportunity to elect Martha Roby as your U.S Representative. Martha is pro-life, and has demonstrated her commitment to building the culture of life by working with Sav-A-Life Montgomery, a Christian pro-life ministry. In her two terms on the Montgomery City Council, Martha has shown her dedication to lowering taxes and reducing government spending. Now, Martha wants to fight to protect conservative values in Washington. Her opponent is doing his best to look conservative, but his mere presence in the House of Representatives strengthens the radical liberals. We’ve seen what the liberals have done to this nation, and we can’t afford to give them any more ground. Please vote for Martha Roby for U.S. Representative. If you live in the 5th Congressional district, you have the opportunity to elect a longtime Alabama Eagle Forum friend Mo Brooks as your new Representative to Congress. Mo is pro-life, pro-family, and pro-marriage. He served four terms in the Alabama House of Representatives, where the Alabama Taxpayers’ Defense Fund ranked him first out of one hundred forty legislators for fighting against tax increases and big government. 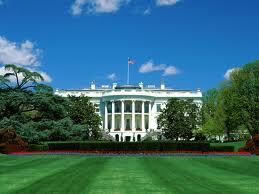 In Washington, Brooks will work to reduce America’s deficit and promote the free enterprise system. Thank you for all you will do between now and November 2nd. It is so important. P.S. The election on Tuesday, November 2nd could be very close in Alabama. Please vote for Betty Peters for Alabama State Board of Education, District 2 and if you live in the 2nd or 5th Congressional District vote for Martha Roby or Mo Brooks for U.S. Representative—and also, please ask ten of your friends and family members to vote for him too. Every vote counts! In Michigan this year, one of our good candidates won by only 15 votes out of 70,996 votes cast! 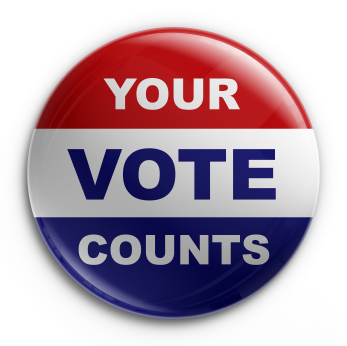 You can find candidate questionnaires from other state and federal candidates HERE.